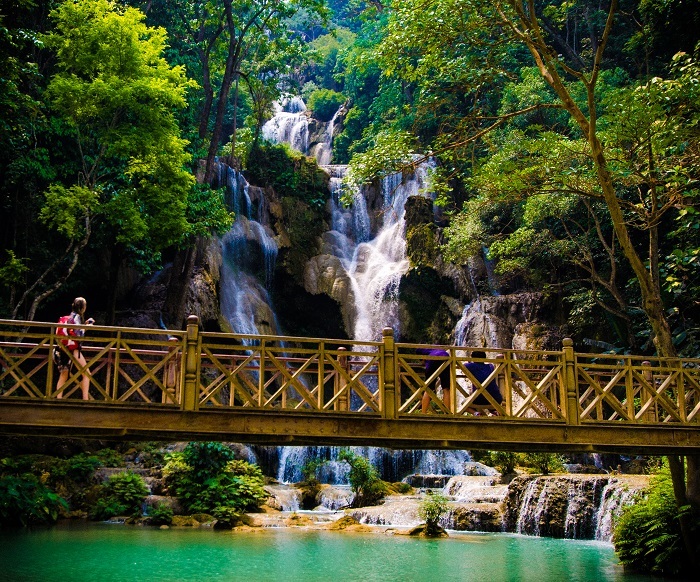 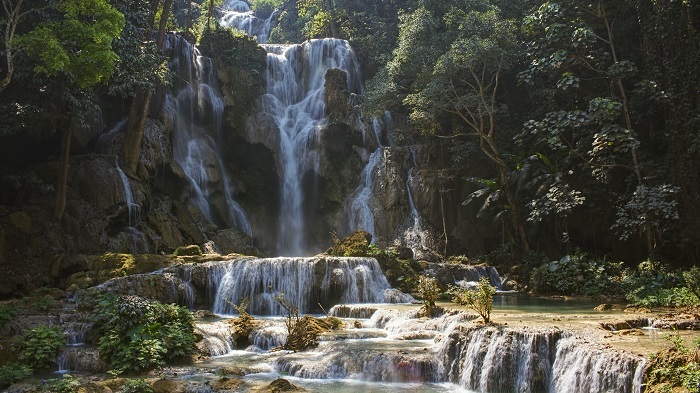 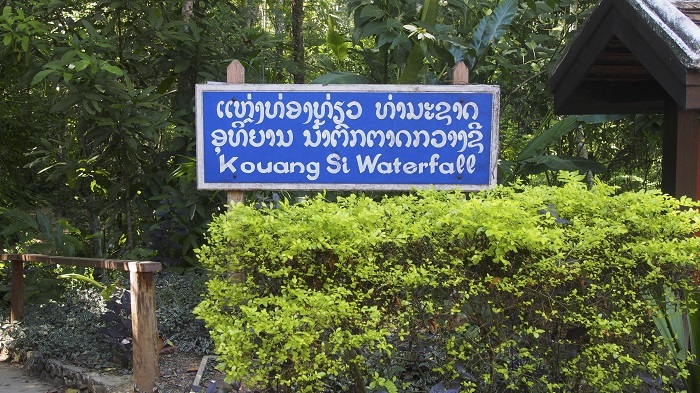 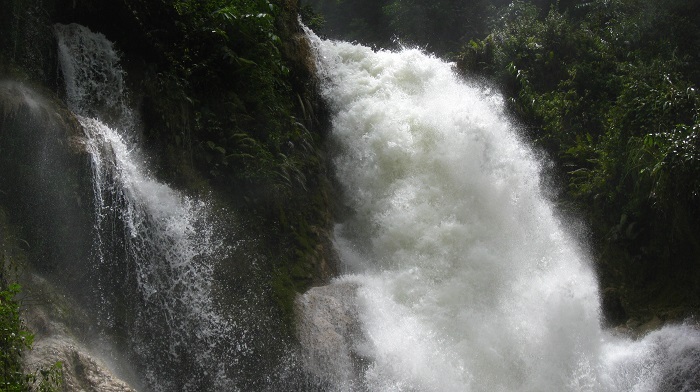 The Kuang Si Falls, sometimes spelled as Kuang Xi, is a three tiered spectacular waterfall which is located in the vicinity of the city of Luang Prabang, within the north central part of the Lao People’s Democratic Republic. 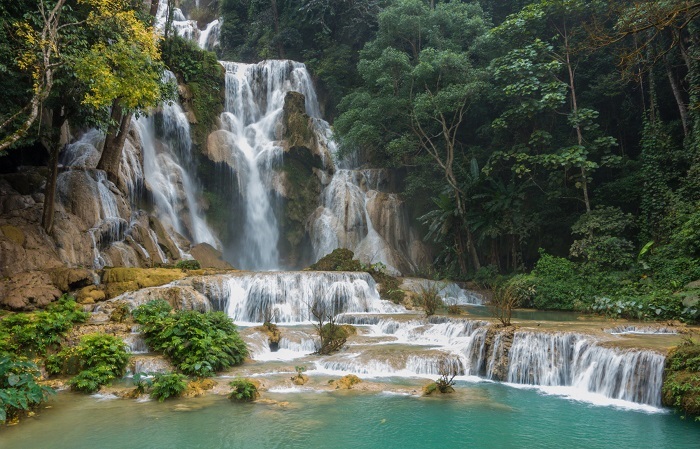 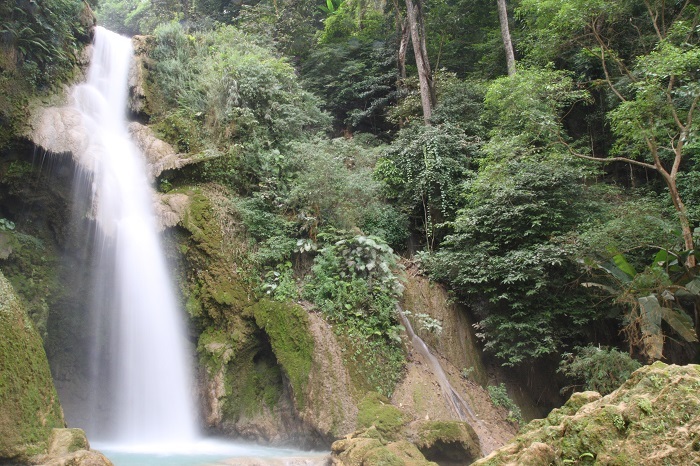 At first, the falls begin with shallow pools that are atop a steep hillside, which then leads to the main impressive fall that is measured to be 60 meters (200 feet) high. 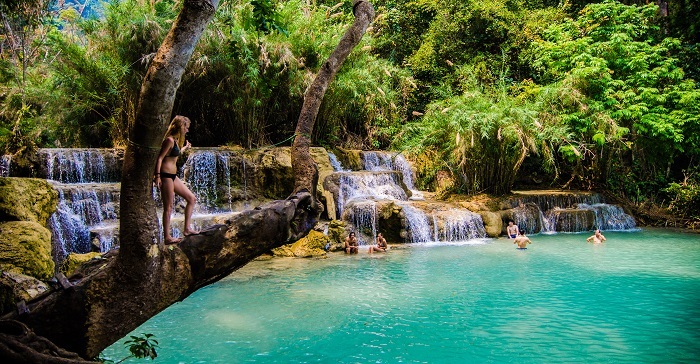 The azure looking pools are a great opportunity for visitors to swim in and with the lush greenery of the tropical jungle that surrounds them, they are among the most perfect getaway spot from the busy city, and not just for the tourists, but for the locals as well. 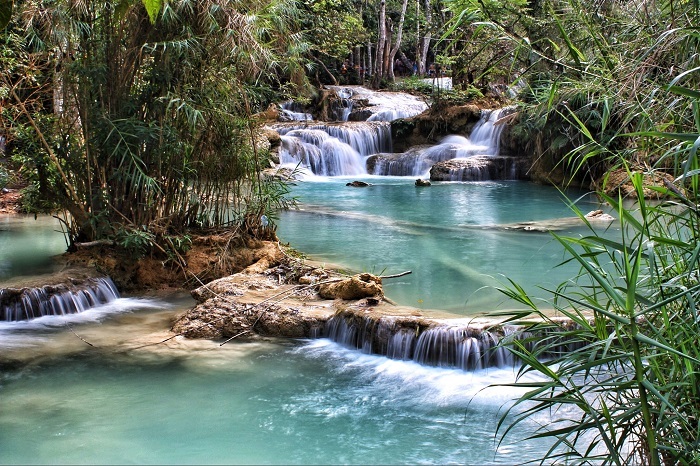 The pools are smaller at the top, however, as the water flowed throughout the centuries, it carved wider and deeper pools towards the bottom. 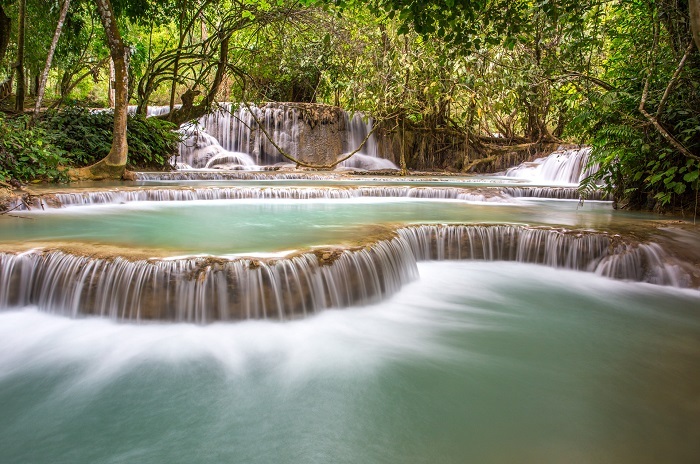 There is a trail that leads to this alluring place, and even though it requires a little bit of effort, it is well worth ti. 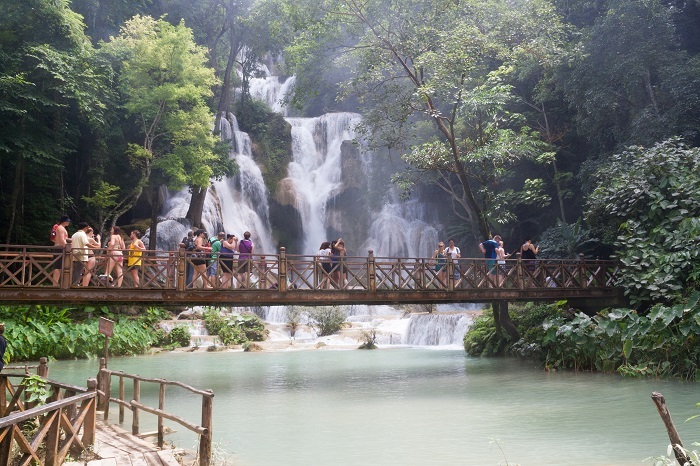 In addition, there are trails which lead to the top of the falls, which will allow everyone the perfect photo opportunity for a stupendous postcard. 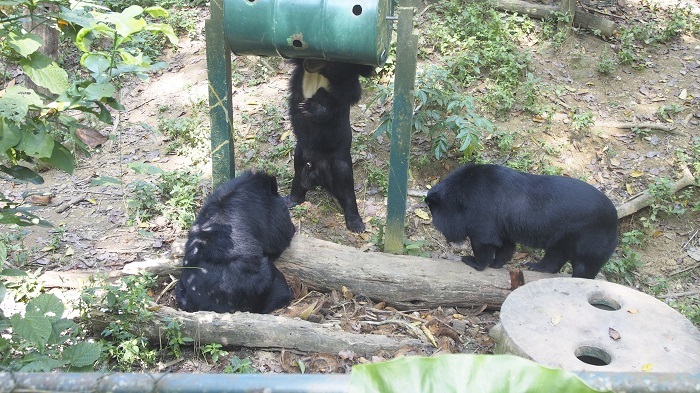 On the way towards Kuang Si Falls is the Tat Kuang Si Bear Rescue Centre, housing endangered animals that were rescued from poachers and traffickers, simply playing and relaxing in the warm sun. In conclusion, the breathtaking cascades are a Laotian journey towards heaven which will bring inspiration to the even hard-to-impress people.